By now you have read the amazing recaps of the Boston Brunchers event that I set up with Harvard Common Press. Let’s just say that it was a day to remember. And one of the ways I get to relive that day, is through the beautiful cookbooks Harvard Common Press sent me home with! 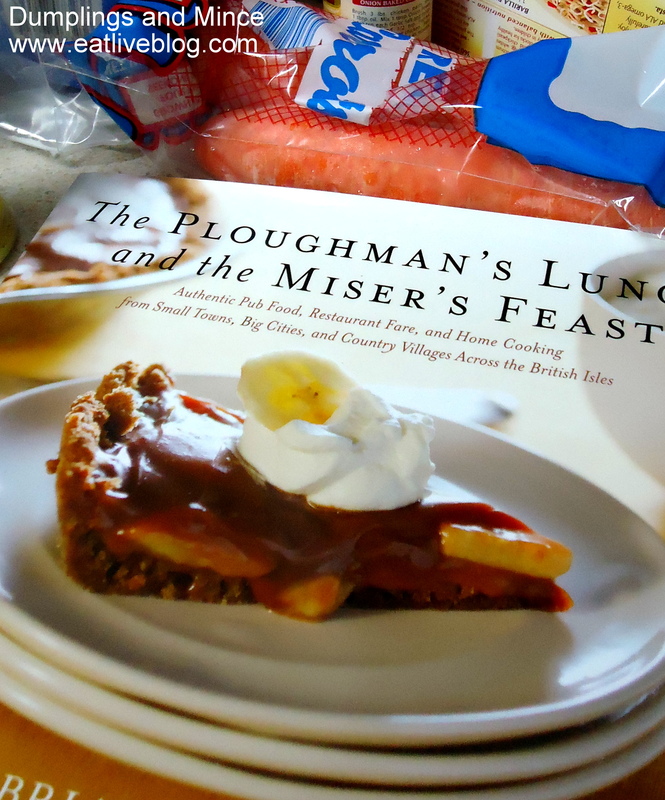 I was instantly drawn to Ploughman’s Lunch and Miser’s Feast by Brian Yarvin. Nevermind the beautiful pictures, and witty storytelling within the book, the recipes are exactly what I had been looking for. Most of you are familiar with my ethnic background, so the fact that lamb stews and savory pies call my name should be no surprise. 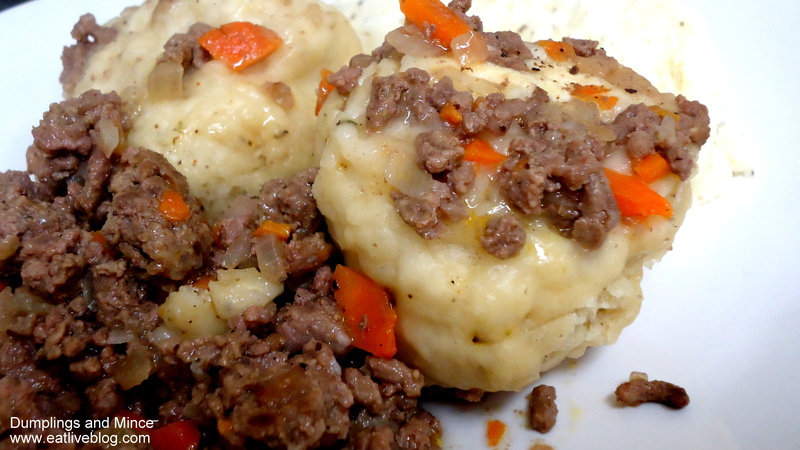 For my first adventure with this cookbook, I decided to try the Dumplings and Mince recipe. I’m not going to lie, I picked this mostly based on the fact that I had all of the ingredients. I must say I was more than happy with my choice. The flavors were simple, but delicious. Reading the recipe I was a little worried it would be bland, but it was nothing of the sort. I am definitely putting this recipe into my normal dinner rotation, it is the perfect solution for a winter’s night dinner. I will note that I made a few substitutions. I will note those below in the recipe. I don’t think it altered the flavor or texture of the recipe, so I’m secure in standing behind my review of the recipe. 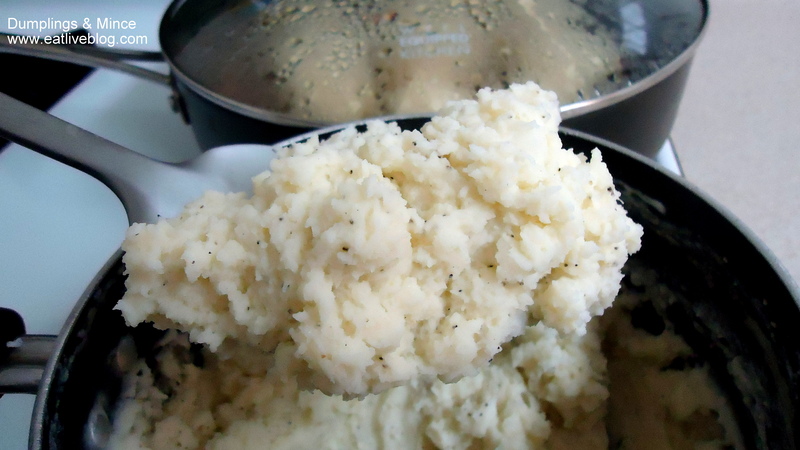 Oh yes, the recipe also called for serving this dish with boiled or mashed potatoes. I went with mashed potatoes. On a whim, I added a scoop of Plain Low-Fat Chobani Greek Yogurt. 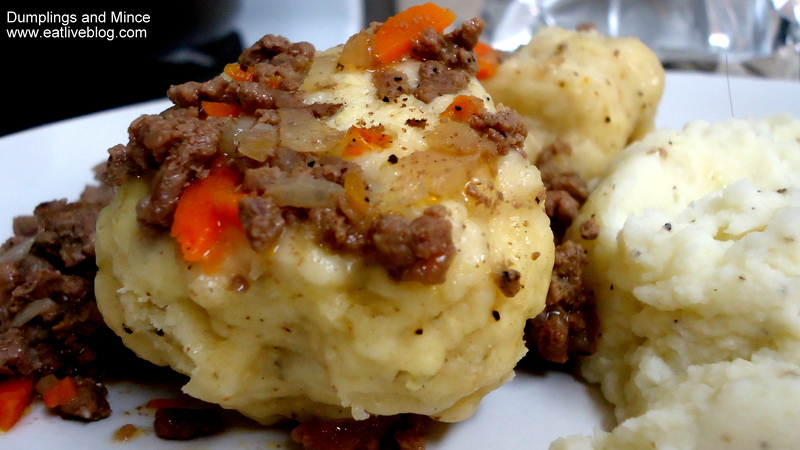 They were scrumptious, and the perfect complement to this meal! 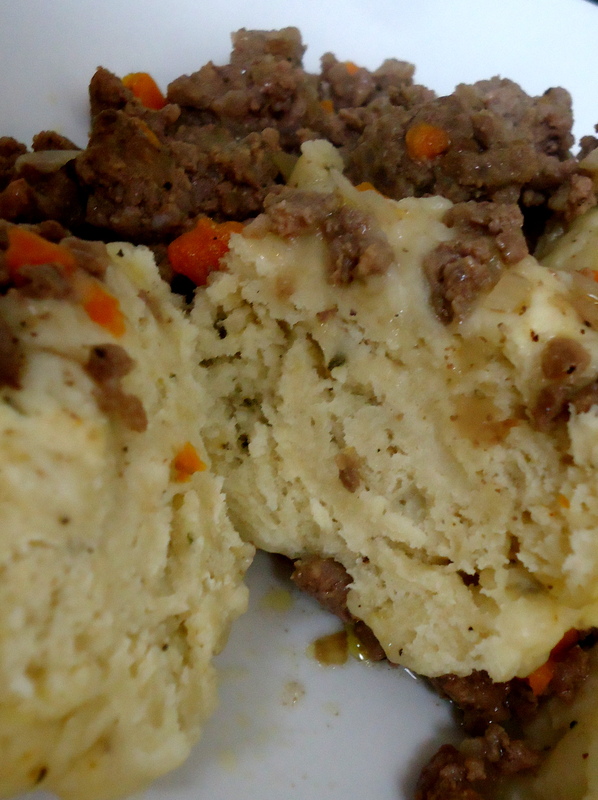 This entry was posted in Recipes and tagged beef, british, chobani, dinner, dumplings, main course, mashed potatoes, meat, mince, recipe by reneeh. Bookmark the permalink. Yum, thanks so much for including us in your delicious recipes. You make pub food look mouthwatering AND good for you! This looks like total comfort food! Oh man. This looks amazing! That looks like perfect comfort food and sounds delicious!! It may be after midnight, but I definitely drooled a little bit on my keyboard. I SO wish I had snagged that book. It just went right to the top of my wishlist!